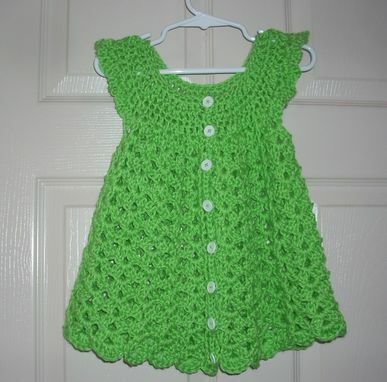 This dress can be made for newborn to 24 months. 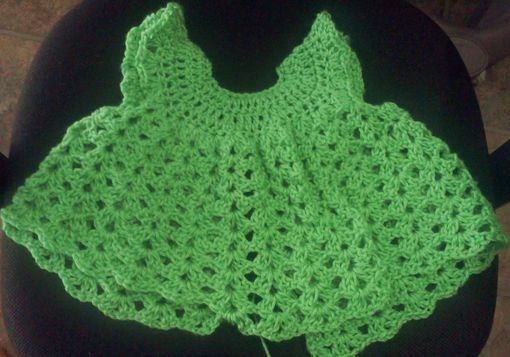 It is hand corcheted and can be made in a variety of yarns and colors. 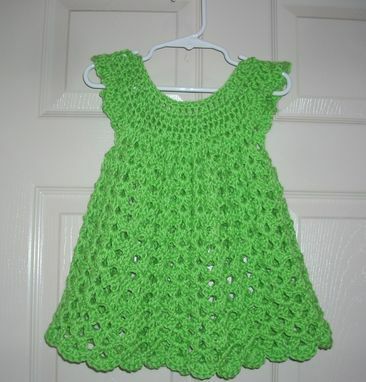 The sample is made is Caron Simply Soft. It is a washable and dryable yarn.